The 2 liter (approximately 8 1/2 cups) Polycarbonate Carafe has a lightweight, easy pour handle. The rubber stay-in place lid has a pestle insert for efficient and homogenized blending. It is a convenient, fun and easy-to-use blender that saves both time and money. 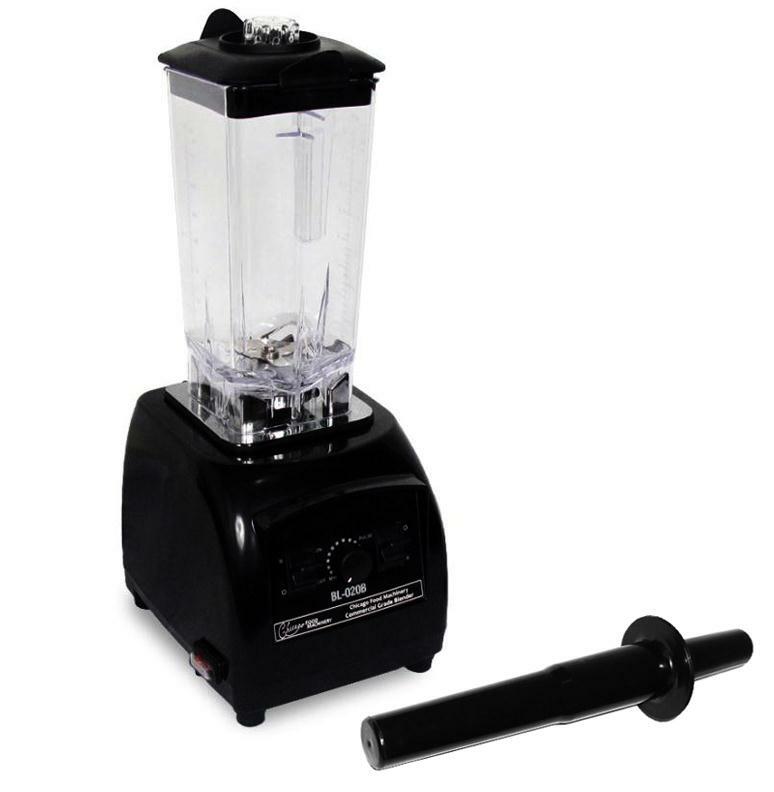 The versatile functions and superior power makes this blender ideal for restaurants, smoothie bars, cafes, hotels, caterers, bars, and even home food prep. Get the job done and eat more nutritional foods when you use the Chicago Food Machinery commercial blender! View further details by selecting "click to view"
*Blenders are rated at peak because of the nature of blender usage; they typically only get turned on for a few seconds to a minute which it will be at peak during that time. They have a second run rating which is if it was turned on and left on for a long period - that is the HP it would run at.